Although there is a Sir Elyan in Arthurian mythology, the character which appears in the BBC TV show has no resemblance to him. Historically Sir Elyan is the son of Sir Bors, cousin to Sir Lancelot and is one of the knights who helps rescue Guinevere from her planned execution after her adultery is discovered by King Arthur. Bors was a chaste knight, but Claire, the daughter of King Brandegoris, fell in love with him, and with the aid of a magic ring forced Bors into loving her. From this union came the birth of Elyan, known as Elyan the White. He joined Arthur's court and became a valued member of the Round Table but, like his father Bors and the rest of his family, he went into exile with Lancelot following the downfall of Camelot. 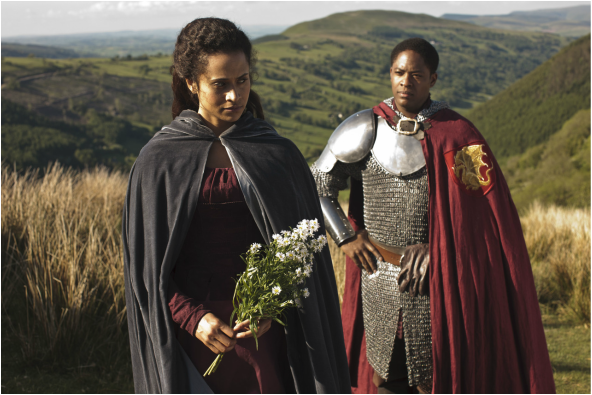 Elyan makes his first appearance in the BBC show Merlin in Series Three when the viewer discovers he is Gwen's brother, whom she had not seen since before Merlin's arrival in Camelot. The viewer is given the impression he was a bit of a wastrel and a wanderer who couldn't settle down and he has been estranged from his sister. Gwen is kidnapped by Cenred's men and taken to the Castle of Fryien where she discovers her brother also being held captive. It is part of a plot to lure Arthur away from Camelot. Once returned to Camelot, Elyan takes over the blacksmithy previously run by his father Tom and settles down. He is present when the city is attacked by Morgause's immortal army and helps in the escape of a number of knights as well as his sister, Gaius and Merlin. He is knighted by Arthur and once a Knight of the Round Table, serves his King faithfully and re-establishes his relationship with Gwen. After she is crowned Queen, he becomes one of Arthur's closest companions and accompanies him on most excursions. It is Elyan, alongside Sir Leon and two unnamed Knights of Camelot, who discovers Morgana taking her dying sister Morgause to the Isle of the Blessed. He returns to warn Arthur of her return after she's been missing for a year following her unsuccessful attempt to remove Uther from his throne at the close of Series Three. Elyan was a courageous and very adept fighter, becoming one of Arthur's most trusted Knights. He was also loyal and kind, being one of the few people who didn't tease or bully Merlin. His relationship with his sister, though strained at first, became a very loving and protective one. He was also one of the first to realise that there was a relationship growing between Arthur and Gwen. However, he failed to stand up for her when she was accused of betraying Arthur with Lancelot and did nothing to interfere when Gwen was banished from Camelot on the eve of her wedding. Elyan dies when, on a mission to rescue Gwen from Morgana's clutches in The Dark Tower, a place of horror and magical enchantments. He comes across something very similar to the Mordenkainen's Sword spell from the pen and paper game Advanced Dungeons & Dragons, and is fatally wounded after rushing off in advance of the rest of the party to discover his sister trapped by it. 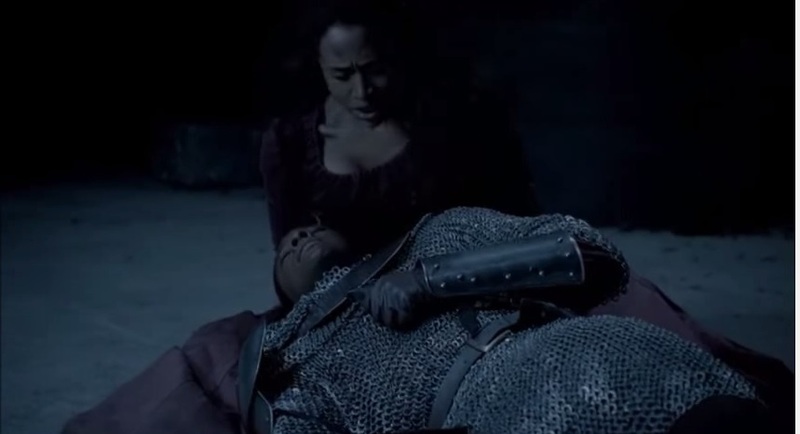 His funeral takes place, in front of the court of Camelot, at the Lake of Avalon.